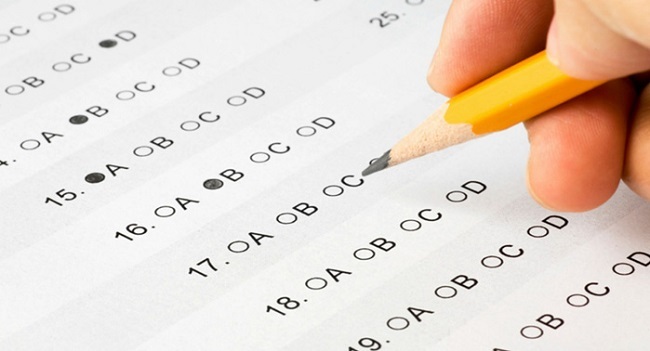 The vast majority of people do a complete review of all responses before delivering a multiple -choice test. During this review often arise doubts that we had not raised by giving the first answer. At that time we face the difficult choice of leaving the question as or are to take risks and make a last minute change. Surely this situation sounds familiar. I think there is an unwritten law that we all heard: when in doubt it is better not change the response and maintain our first choice. However recent research says that when we follow this strategy increases the chances of failing the answer. That is, if we change the question at the last moment we more likely to end laceration. Needless to say that this strategy will be fulfilled only to those questions that have made us doubt during the second review. It is not a matter of also make last minute changes in the questions we know for sure from the beginning. The research has brought to light this data is quite simple. For 70 years we have analyzed the exams students from 33 different races. The results showed that the mean scores of each race increased when the answers were changed at the last moment. That is, the probability of making a change from bad to good was always higher than the probability of making a change from good to bad. As I said before we all know the unwritten rule of when in doubt it is better not change the response. Why we continue to believe this even though the evidence shows that change your answer is better? You may also like to read another article on StudyWatches: What are your learning style makes it easier? Change a response and fail it leads to higher thoughts later auto recriminatory. That is, when we change an answer and we fail we keep this memory in our minds much longer than if we change and we were right. As a result we are left with the feeling (illusory) that is more frequent change and fail to change and hit. According to the Fallacy first instinct, when making a test anticipate repentance suffer if we fail we changed a question. For this reason it awakens in us a kind of defense mechanism that makes us keep our first response in order to avoid us possible further suffering. I hope from now if someone has the misfortune to make a change from good to bad not come to blame me. The research results are averages probabilistic. There will always be exceptions that confirm the rule. Visit http://apporello.com/ for more like this content.